And not because the ingredient list includes 4 cups of sugar plus two packages of artificial vanilla instant pudding mix. 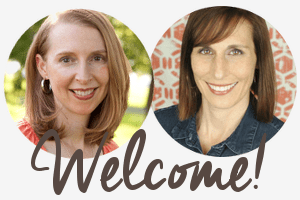 But eventually, you run out of friends… and co-workers….and neighbors and then the large gallon-sized plastic bags of starter begin taking over your kitchen. And since you have to use them up every 10 days, that makes another time sensitive thing for a mom to do…besides laundry, packing lunches, and the normal things needed by several kids. 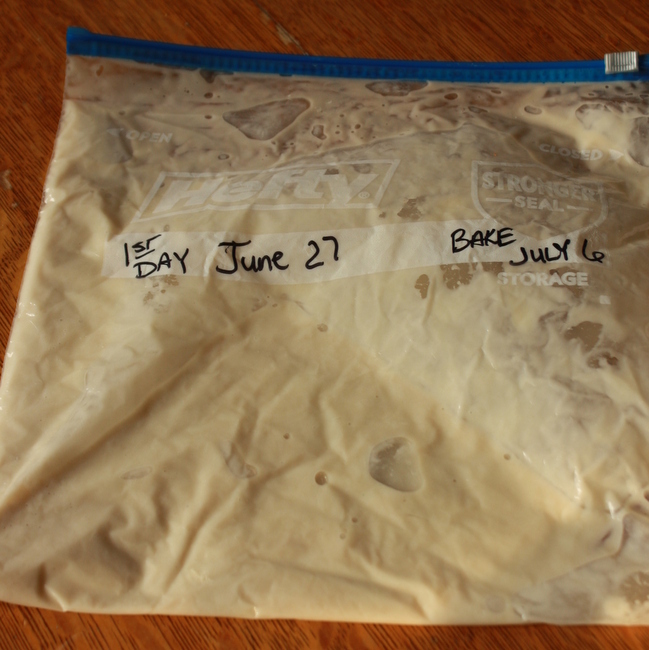 And just like me, my friend hates to throw things out – but that’s eventually what you have to do, unless you want to build another wing on your house to store Friendship Bread sourdough starter. So I attempted to solve a few of these issues plus lighten the 4 cups of sugar and nix the pudding mix. Because: This. Bread. Rocks! It’s moist, cinnamon-spiced and perfect for quick back-to-school breakfasts or lunches. With half the sugar and fat – thanks to a secret ingredient; friends will love this version of Friendship Bread. Ingredients found here with the exceptions below. Follow instructions for Days 1-5. Follow instructions for Days 7-9. Divide 1 cup batter as directed into gallon zip-top bags. 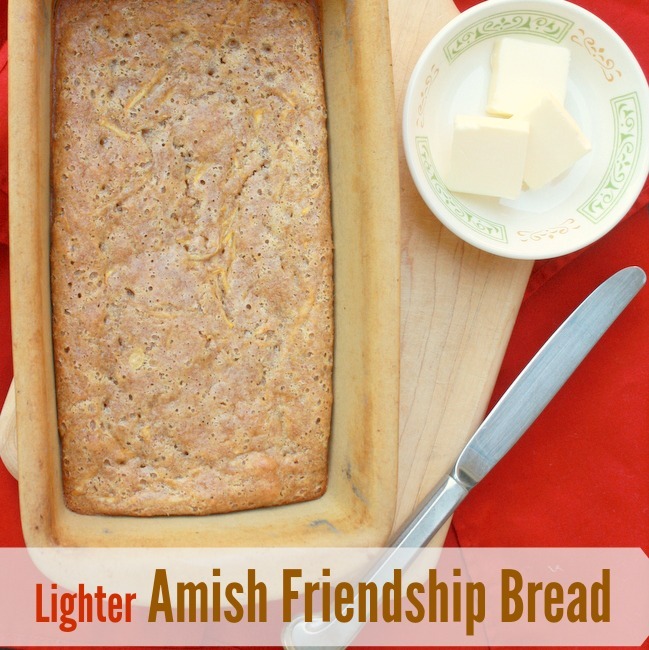 Have you ever made Amish Friendship Bread? Do you use the original recipe – or make a variation? 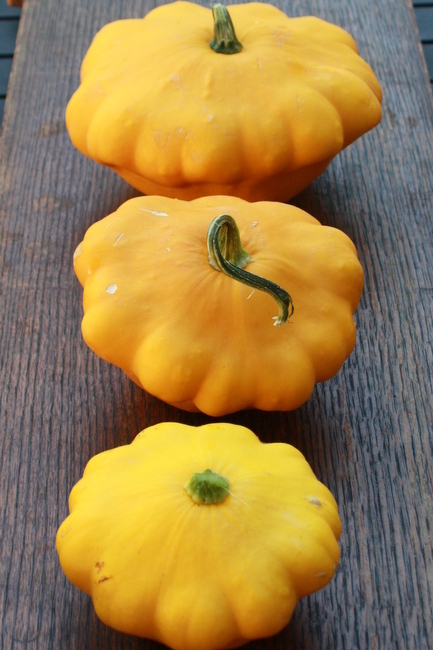 Speaking of variations…I didn’t have green zucchini the last time I made the Amish Friendship Bread, so I used these overgrown Pattypan Squashes from my garden. Do you see the little yellow specs in the photos?! I love how you broke out how you fixed everything… that is a really cool idea and lots of great substitutions! Thanks Cassie! It’s even better when it tastes this good…and my kids ask for it again and again! 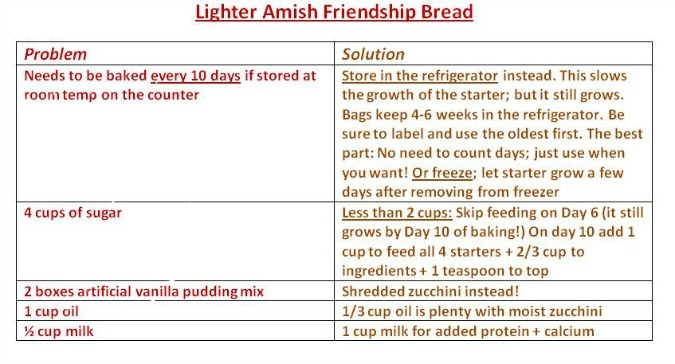 I love Amish Friendship Bread, but yes, it can be a bit of a caloric — and time consuming — nightmare! I love how you’ve fixed all these problems … awesome post! I was obsessed with the Amish market in America and swear all their food products tasted better! Thanks for the recipe! I know, the Amish are great bakers and canners! Thanks friend…and the wise friend who gave the bread its TRUE name!